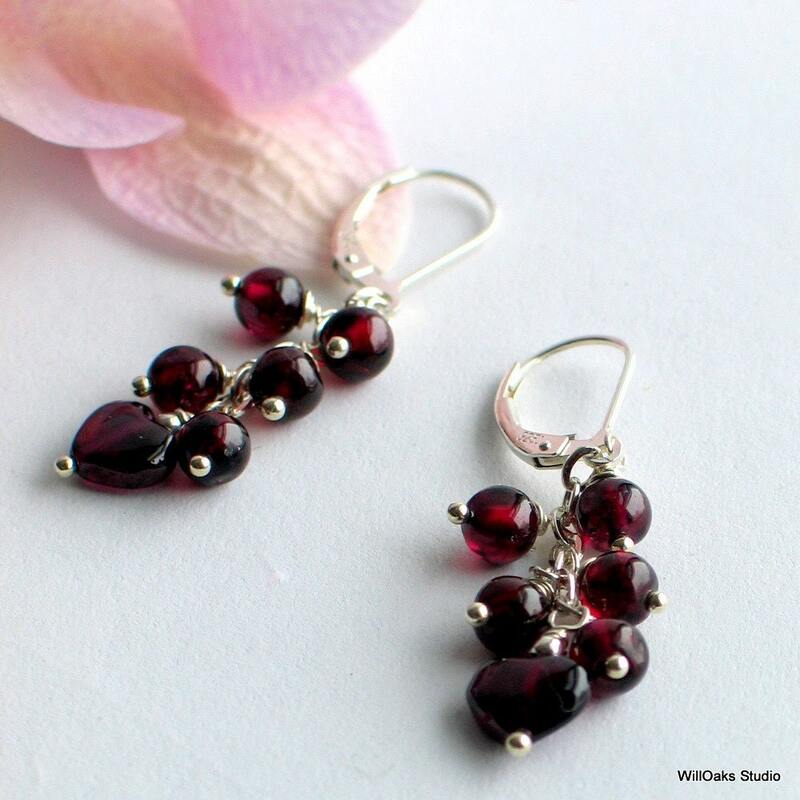 A cascade of dancing garnets are sure to be noticed. 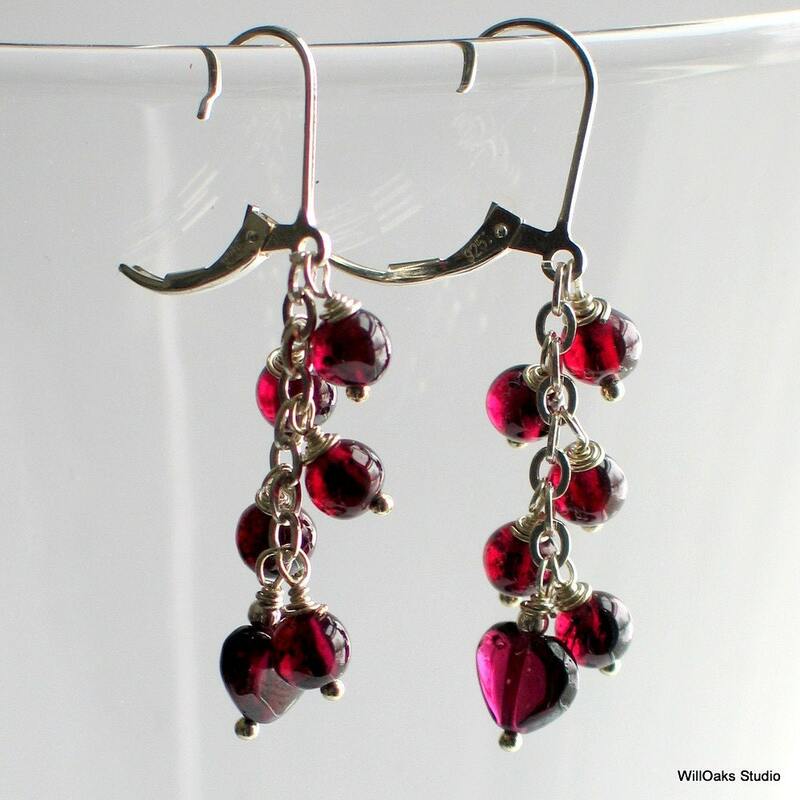 Red garnets are wire wrapped with fine silver to dangle from sterling silver chain and a pair of sterling silver lever-back ear wires. 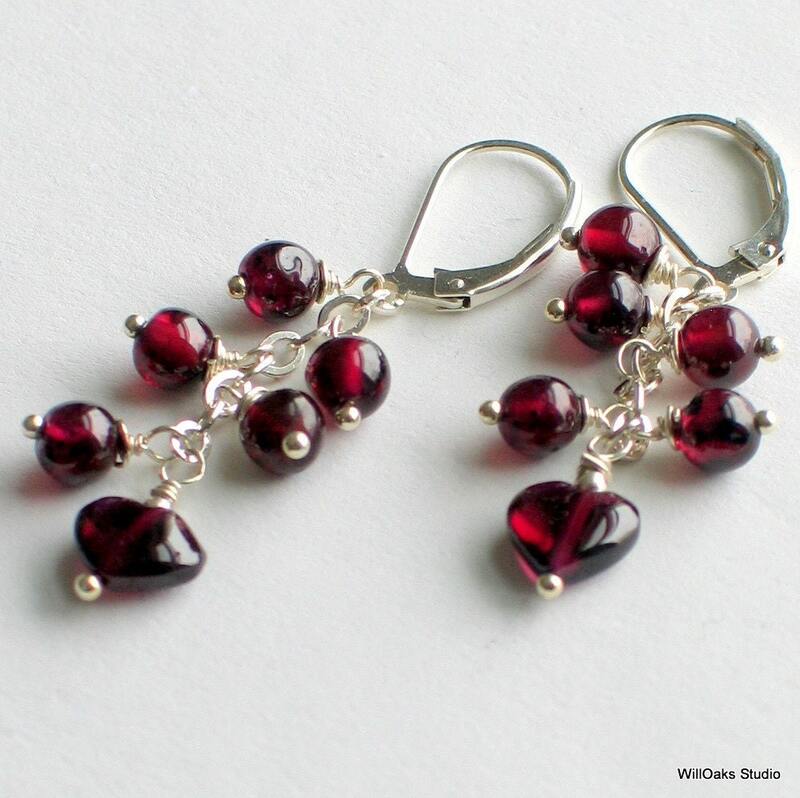 Earrings hang 1 3/4" measured from the top of the ear wire. 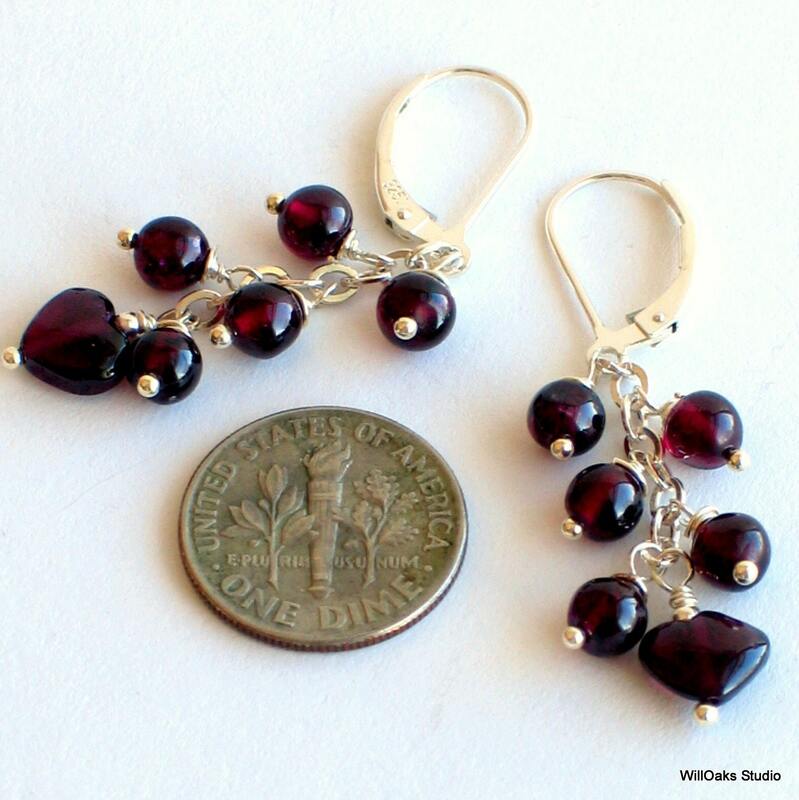 Round garnet beads alternate on the sides, and a carved garnet heart dangles at the bottom. 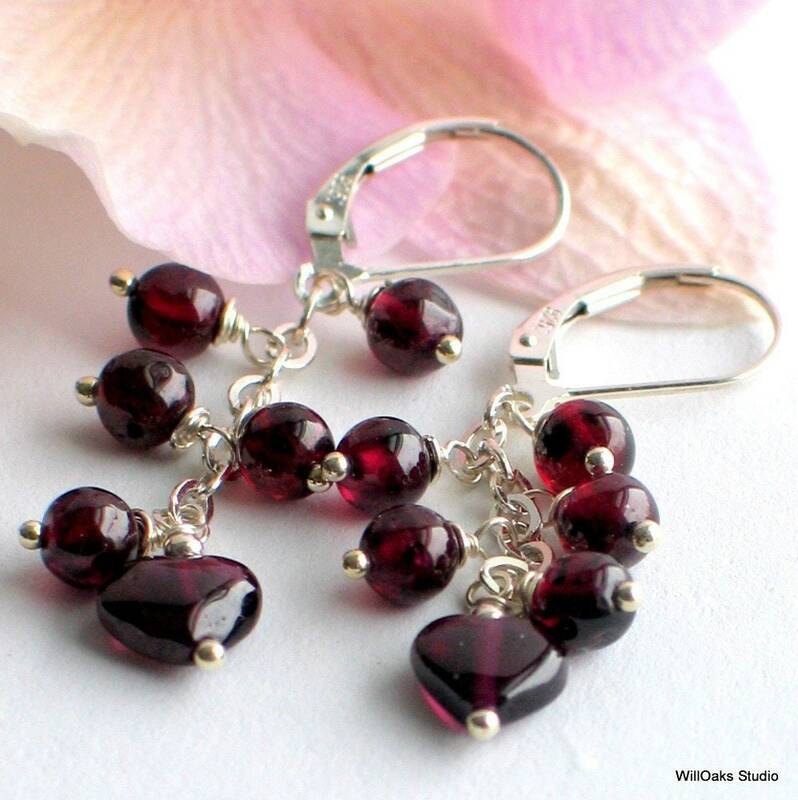 Garnets are the birthstone for January and somehow, also seem perfect for Winter, Christmas, Valentine's Day, and anytime a touch of deep warm red is needed. Rich wine red, translucent, lovely. Thanks for dropping by and stop by again soon! Lovely earrings and it was a pleasure dealing with Karen!